Everything changed in European League of Legends the last time G2 played Origen in the playoffs. 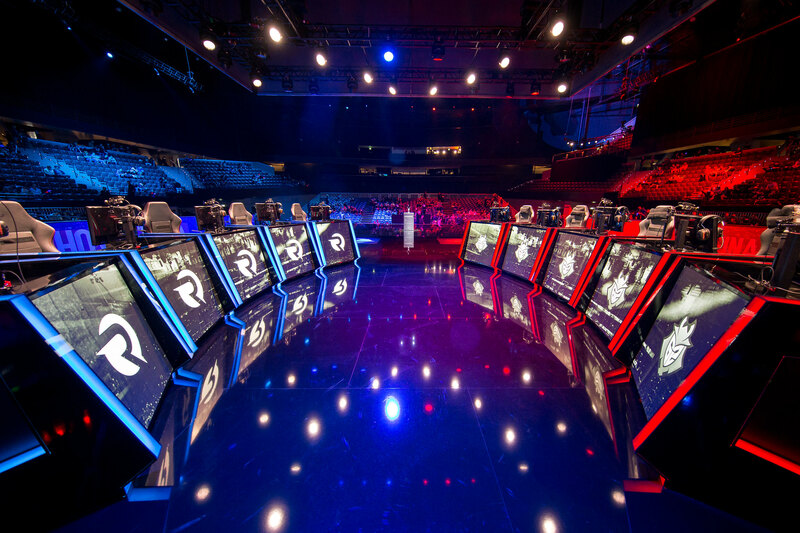 It was the finals of the 2016 Spring Split. Origen, created by the legendary Spanish mid laner Enrique “xPeke” Martínez, was coming off one of the best years in EU history. Their challenger that day was a young, upstart G2 squad that few fans were familiar with. We didn’t know it at the time, but that match represented the past and the future of the region. G2 won it and then embarked on a two-year run atop the region that hasn’t been matched. Origen lost, and the team was never the same—they were relegated the next year and it seemed like a potential rivalry between the two teams was dead. But now, Origen has been reborn and on April 6 at 10am CT, the rivalry between the two storied Spanish clubs will be revived in the LEC semifinals. Lightning is about to strike twice in Europe. That spring final between Origen and G2 was defined by a trio of mid laners. All split, Origen relied on the precocious young Tristan “PowerofEvil” Schrage. He wasn’t perfect, and the team went into the playoffs as just the fourth seed. But in game five of the semifinals against H2k, he came through with a clutch performance on his pocket Orianna. With every lane losing except his, he cast the perfect Shockwave to turn the tables and send Origen through to the final. POE’s clutch Shockwave turned the fight around. 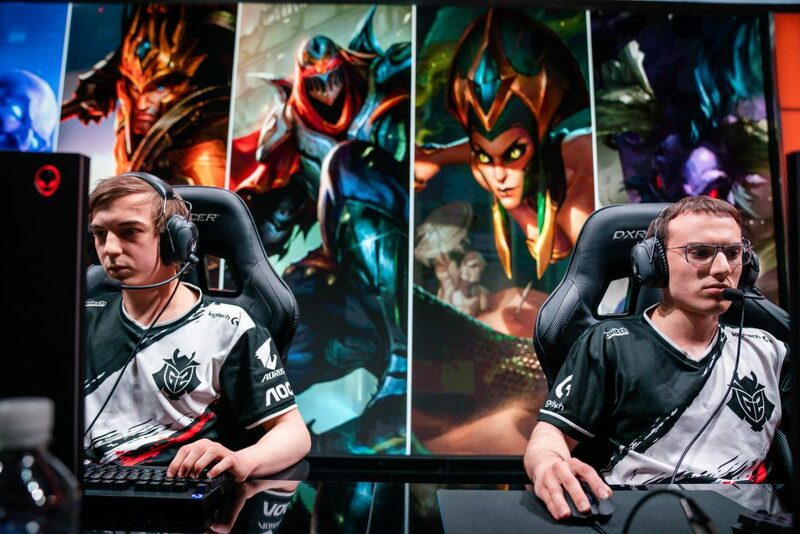 On the side of G2 was another young mid laner: Luka “Perkz” Perkovic. The rookie of the split wowed with his lane mechanics and immediately became known as the best mid in Europe. The series against Origen marked the start of a mid lane kingdom for Perkz that lasted three years. The series started pretty even: PowerofEvil acquitted himself well twice on that Orianna and the teams split the first two games. But then he reached for Azir in game three. Perkz responded with a Zed pick and absolutely crushed the game. That’s when the third mid laner appeared. Facing match point, Origen blinked. Instead of going back to the Orianna, they subbed in xPeke who locked in Lissandra against Perkz’s Zed. XPeke had a good game—he almost was enough to even the series by himself. But in the end, it was Perkz and G2 who came out victorious. Three years later, Perkz is still on G2—although he’s vacated his mid lane kingdom to the one player who’s shown the talent to stand up to him: Rasmus “Caps” Winther. Caps is a flashy player who dies more than he should pursuing the heroic outplay. His lane numbers aren’t quite as good as they used to be as G2 has put less emphasis on mid control, but he’s still a major threat that has to be dealt with. 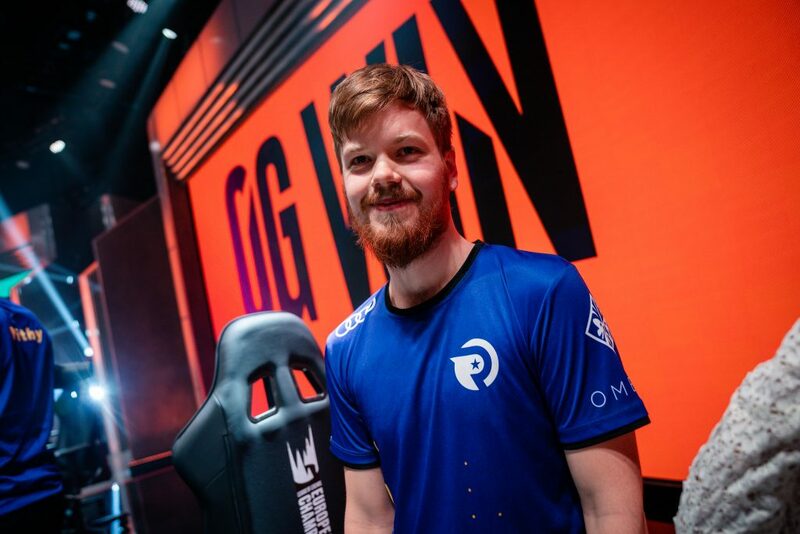 On Origen’s side, they signed the one person who might be good enough to beat either Perkz or Caps: Erlend “Nukeduck” Holm. Nukeduck has long been known as one of the best mids in the region, but never really the best. He makes up for his mistakes with the biggest champion pool in Europe and is an absolutely suffocating laner to play against. It’s ironic that in the two teams’ last meeting, Zed came back into the picture with Nukeduck helming that champion to a 5/1/4 scoreline and an Origen victory. It may not be the Zed we see this weekend, but whatever champions Caps and Nukeduck pull out, they have to prioritize early mid lane pressure. We’ve learned from past experience that waiting and scaling doesn’t work out when it’s Origen vs. G2. The first one to blink will probably lose. For G2, this is an opportunity to prove that, with Perkz moving aside, the mid lane kingdom is still theirs. For Origen, mid lane might represent their only shot at victory. And that’s just one lane. The drama and history between these two squads runs deep and stretches across all the lanes. In the jungle, it reaches G2’s Marcin “Jankos” Jankowski, who was on the H2k side in that five-set semifinal loss to OG in 2016. Jankos’ star-studded career has been tainted by just one thing: His playoff disappointments. He’s just 6-12 in playoff series, with many of those losses coming with him being on the favored side. He’s favored again on Saturday and has to prove that he can step up. The drama extends to the bot lane with Origen support Alonso “Mithy” Rodríguez. Mithy was Origen’s support in that 2016 series, but then jumped ship to G2 the following split. After a couple years winning championships beside Perkz, he left for North America last year to disappointing results. Now he’s back on Origen and ready to prove that he’s still magic in the playoffs. There’s a lot to unpack in this match. Top lane is still a carry lane and could become an early focus of the junglers. Bot lane shows a contrast of styles between the early aggression of Perkz against OG ADC Patrik Jírů’s more patient style. Perkz has yet to show he’s fully reliable on scaling ADCs in late-game scenarios, which happens to be Patrik’s strength. And we haven’t hit on top lane, frequently a win condition for G2 and MVP candidate Martin “Wunder” Hansen. There’s simply too much star power on these two teams—and too many ways this match could go. And yet we continue to gravitate back to the mid lane kingdom. Last year, playing for Fnatic, Caps beat Nukeduck in the playoffs twice, with the second time being an excruciatingly close final. Nukeduck’s Schalke 04 team was never the same after that series, losing in a scattered effort in the regional gauntlet to give G2 the third European spot at Worlds. Nukeduck has had seven long months to think about that defeat, about losing to Caps and then falling to G2. This Saturday, he gets to finally do something about it as he prepares to face both at the same time. There will be a lot going on across the map when these two teams square off, but we have a feeling that you shouldn’t take your eyes off the mid lane.